On a sunny Thursday in July, HSBC staff doffed their suits and pulled on rubber boots and gloves to support the HSBC Freshwater Initiatives in Stanley Park project with SPES. Wading into the shallow waters of Lost Lagoon, the intrepid volunteers brandished clippers and snippers to remove the seed heads of yellow flag iris, an invasive plant threatening the native flora of Lost Lagoon and other Stanley Park wetlands. This important work is just one of a series of habitat initiatives sponsored by HSBC Bank Canada. For a fifth consecutive year, HSBC has committed $50,000 to support the HSBC Freshwater Initiatives in Stanley Park program, helping restore the Park’s aquatic ecosystems and wildlife habitat through community engagement. SPES’ 2010 “State of the Park Report for the Ecological Integrity of Stanley Park” (SOPEI) rated Stanley Park’s aquatic ecosystems as in poor overall health, declining in size and quality. 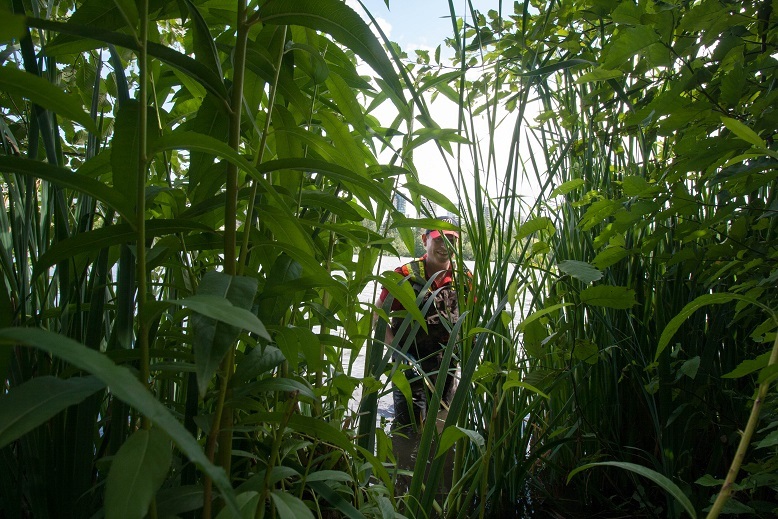 HSBC’s funding allows SPES to undertake needed aquatic stewardship initiatives to help many at-risk wildlife species, including birds such as wood ducks and swallows, which depend on freshwater habitats for food and shelter. This support also enables SPES to protect trees from beaver damage through a project to wire-wrap willows and other riparian trees; maintain regular volunteer-driven water quality sampling for Lost Lagoon and Beaver Lake; and offer public education and workshops related to the stewardship of aquatic ecosystems within the Park. 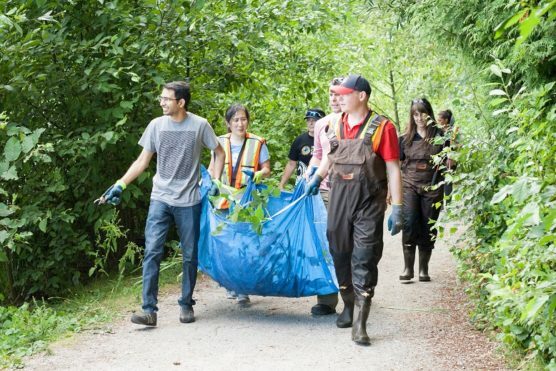 If you are interested in following in the HSBC volunteers’ footsteps, sign up for SPES’ EcoStewards events in Stanley Park or join our Special Invasive Removal Team (SIRT). 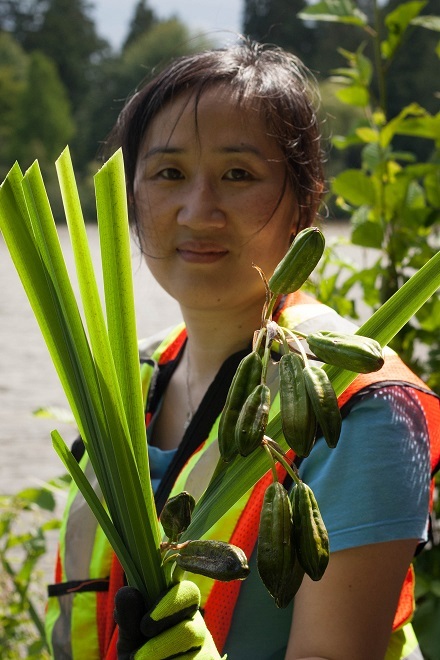 You can stay dry: almost one third of Stanley Park’s forest is infested with invasive species. 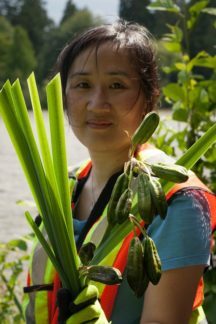 There are plenty of invasive plants to be removed on dry land as well!